Below is the first post in my series regarding retail as a triple net or absolute net tenant. I get most of my calls from investors looking for exactly the same property type backed by the same type of lease. The commercial real estate flavor du jour is a triple net retail, single tenant, single parcel with national credit – meaning S&P BBB or the Moody’s equivalent, Baa3 or higher, long, triple net (NNN) lease. What they are really asking for is an absolute net or bond lease where there are no landlord or day to day responsibilities. But what do these acronyms really mean – NN, double net, NNN, triple net, bond lease, absolute net, modified gross and etc.? Regardless of what the seller or listing agent labels the lease, it is imperative to read the lease thoroughly at the earliest opportunity and have a real estate attorney licensed in the state where the property is located, review the lease. Remember, the devil’s in the details. Also keep in mind that the perfect lease doesn’t exist. Back to the flavor du jour that I mentioned in the second paragraph – approach the analysis of a triple net leased investment with the idea that the buyer is purchasing the lease rather than the building and land. Because definition of triple net leases differs, be sure you understand what’s in and what’s not in the lease. Get your hands on the lease as early in the process as possible to save time and money later. If you can get it prior to making the offer or in the offer counter offer stage, that’s even better. Best to find that one paragraph that knocks the property out of contention before you start spending money on due diligence such as inspections, surveys and appraisals. A net lease generally refers to an arrangement where the tenant pays all or almost all of the property’s operating costs in addition to rent. 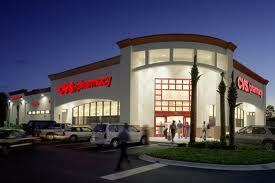 There are a number of gradations of a net lease so I’ll cover the broad categories from strongest to weakest. Bond or Absolute Net Lease. The tenant is responsible for everything – all operating expenses, maintenance, repairs and replacements for the building and site without limitation without limitation. Triple Net (NNN) Lease. These leases follow the above except that capital expenditures, especially toward the end of the lease, are the landlord’s responsibility. You commonly will see leases that are labeled triple net are in fact double net in that the landlord is responsible for roof and structure. As I’ve said above a few times, read the lease and have a real estate attorney licensed in the state where the property is located review the lease. Double Net (NN) Lease. Follows the above except that landlord is responsible for structural components of the building such as roof and load bearing walls, but also could include parking lot, plumbing and electrical. Modified Gross Lease. The tenant pays its own utilities, interior maintenance, janitorial, small repairs and insurance and the landlord pays everything else. Anyway, this is going to be all for now. I’ll get into some common pitfalls later.